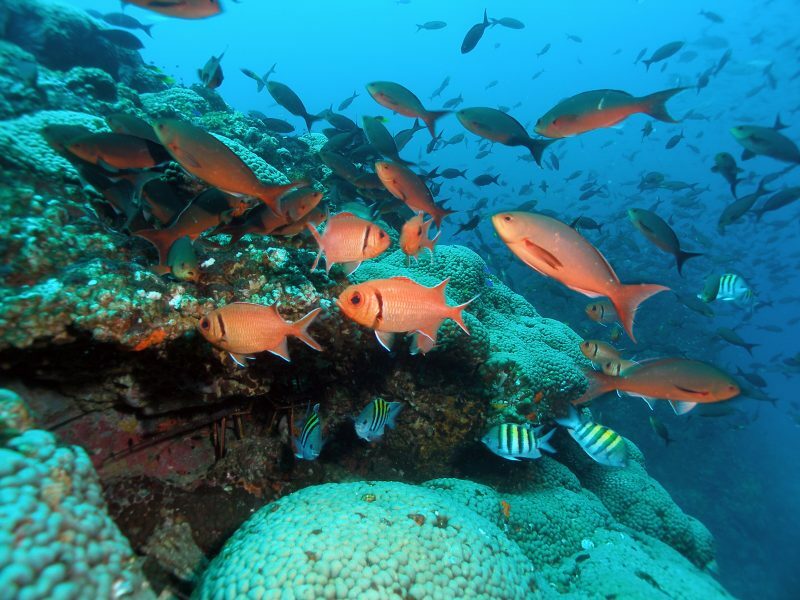 Fish swim around the Sierra Madracis, the largest coral formation at Stetson Bank in Flower Garden Banks National Marine Sanctuary. The sanctuary is the only of its kind in the Gulf of Mexico. It is located 70 to 115 miles off the coasts of Texas and Louisiana. Photos: G.P. Schmahl and Emma Hickerson, Flower Garden Banks National Marine Sanctuary. An impromptu meeting between Jackson School of Geosciences Assistant Professor Rowan Martindale and Rice University Assistant Professor Adrienne Correa may pay big dividends for future research on reefs in the Gulf of Mexico. What started as a conversation between the two after a presentation given by Correa at The University of Texas at Austin, morphed into a gathering of researchers working on reef systems throughout the gulf in October 2018. The two-day meeting – “Gulf of Mexico Reefs: Past, Present, Future” – brought nearly 40 scientists from throughout the region together at Rice University. Most were from universities in Texas and Louisiana, but there were also participants from Florida, Mexico and the Flower Garden Banks National Marine Sanctuary located off the Louisiana-Texas border. The purpose was to bring local scientists studying reefs in the Gulf together to foster new ideas and collaborations. 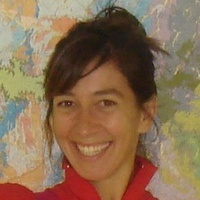 The gathering – organized by Martindale, Correa and Jackson School Ph.D. student Anna Weiss – has already prompted an upcoming special topics section in the journal Frontiers in Marine Science and an agreement that that the gathering should take place regularly, probably every two years. Martindale said the need to actively foster communication among reef researchers in the region became clear after attending Correa’s February Hot Science, Cool Talks presentation at UT titled “Texas’ Own Coral Reefs: Weathering the Storm,” which explored how Hurricane Harvey effected the coral reefs of the Flower Garden Banks National Marine Sanctuary. “I thought, how do we not even know about each other? We’re two hours away,” Martindale said. Like many in the field, Martindale and Correa share a common research interest but come about it from different directions – or in this case – time scales. 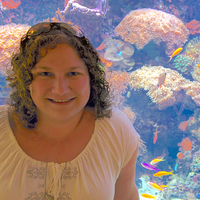 Where Correa specializes on the ecology and evolutionary biology of modern reefs, Martindale studies reefs and mass extinctions in the ancient world. 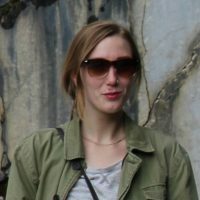 Her work includes Triassic and Jurassic reef paleoecology and Mesozoic marine communities and ecosystems. Bringing different approaches and disciplines together was one of themes of the meeting, which featured both traditional talks and discussion sessions. Attendees were a mix of early career and established scientists, as well as postdoctoral researcher and students from the undergraduate level to Ph.D.
Martindale said a major benefit of communication among gulf researchers can come when collecting scientific samples from the gulf. This is usually accomplished with potentially expensive or logistically difficult cruises. Knowing where and when a scientific cruise is going out can be extremely helpful, particularly if you can coordinate multiple sampling opportunities on one trip. She was thrilled to see how many post docs and graduate students were at the meeting, which was made possible by financial support from the Rice University Creative Ventures Fund and the Paleontological Society. Martindale was also struck by the interdisciplinary scope of the group. “It ended up being quite a diverse group of people, a little more biologically inclined than we had originally thought,” she said. 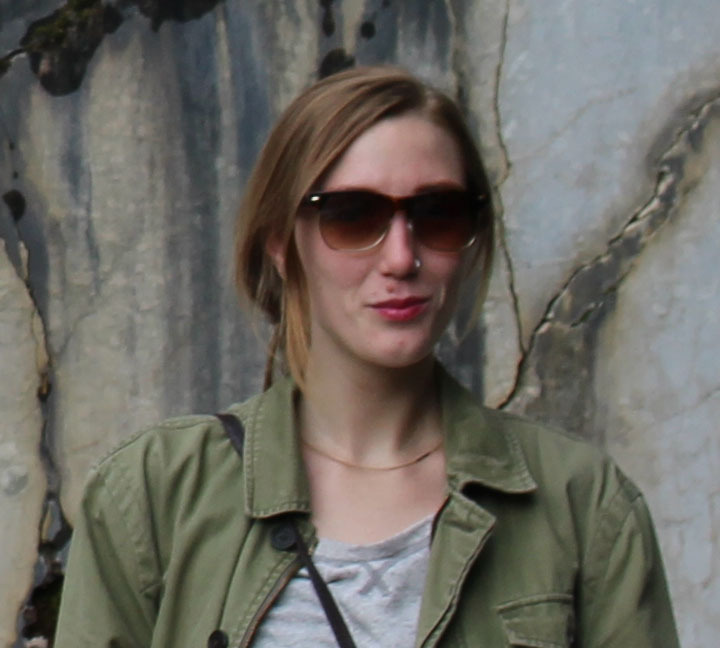 Weiss, a fifth year Ph.D. student studying Paleocene/Eocene carbonate ecosystems and coral reefs, is excited for the next meeting. Next time around though, she, and others in the group, think it’s time to strengthen representation across the entire gulf by making the meeting international.